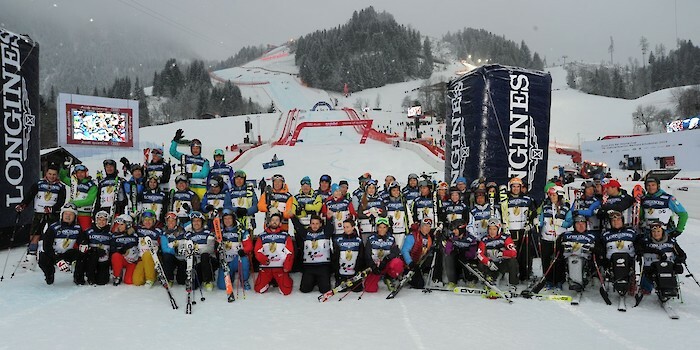 The KitzCharityTrophy is the annual highlight after the Downhill Race. As ever. the start list for KitzCharity Trophy 2016 includes some high profile names: participants include Team Ecclestone with Fabiana Ecclestone, Marco Büchel and Franz Klammer, Team Charity Founders (Gerhard Berger, Benni Raich, Leo Stock), Team Audi 1 (Hubert Waltl, Christa Kinshofer, Christina Stürmer), Team Gösser (Michael Walchhofer, Michaela Dorfmeister, Hans Knauss), Team DJ Ötzi & Friends (Gerry Friedle, Gregor Bloéb, Hikmet Ersek) any many other prominent personalities from the worlds of sport, business and showbiz. Proceeds from this Event go to the benefit of Tyrolean farming families, who have fallen on hard times through no fault of their own.